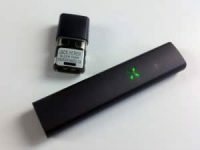 The XMax Starry is an ultra-portable and ultra-affordable dry herb weed vape. 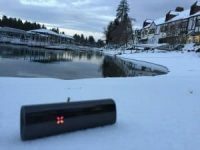 The Starry utilizes a conduction oven to vaporize cannabis and other dry herbs. It features full temperature control, ceramic oven, ceramic zirconia mouthpiece/screen assembly, and a removable 18650 battery. For $120 shipped, it includes a nice grinder and a vacuum seal canister from Planet of the Vapes. 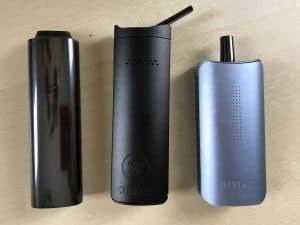 Cliffs Notes: This is a budget vape with more features and nicer build than most other budget vapes. The vapor is OK – nothing amazing. It tastes good and it gets you high. 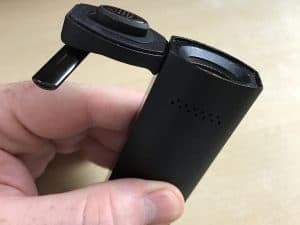 It’s tiny, metal, durable, and it cranks out vapor without the $279 price tag of the IQ or the Pax 3. 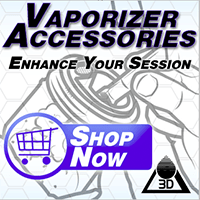 This is an excellent vape for beginners or anyone looking to add a dependable ultraportable to their collection. The Starry is surprisingly solid. The front and back are a sturdy metal, while the two sides are partially plastic. One side is the display panel and control buttons. Everything feels great and fits together great. The Starry is very small. It’s easy to carry and easy to hide. 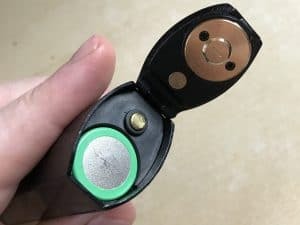 If you’re looking for the smallest vape that has full temp control and replaceable battery for a buck-twenty, you’ve found it. The next step up in this size class is the Pax 3 (now $199), which doesn’t have a replaceable battery, or the Davinci IQ($275). The vapor from this little conduction vape is surprisingly good. 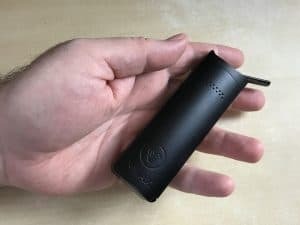 I like the vapor from the Starry better than the vapor from the Pax 3, but the IQ still tops them all. If you medium pack the bowl with a medium grind, the ratio of draw resistance and vapor output is perfect. This also makes cleanup very easy. Packing the bowl with .15-.3g produces 15+ minutes of vapor if you choose to vape to fuller extractions. I love conduction vapes for getting night-time stoned. Vapes like the Starry bring out deeper flavors in the kush strains and deepen the body high/couch-lock. Perfect for pain-relief and Netflix. 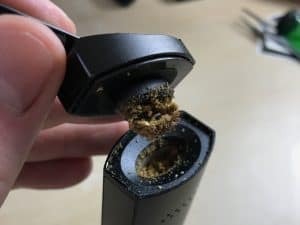 The Xmax Starry includes a concentrate container. It works surprisingly well, although I’m not really a huge fan of concentrate containers in dry herb vapes. The Starry wax/oil container actually has a wicking material in it. 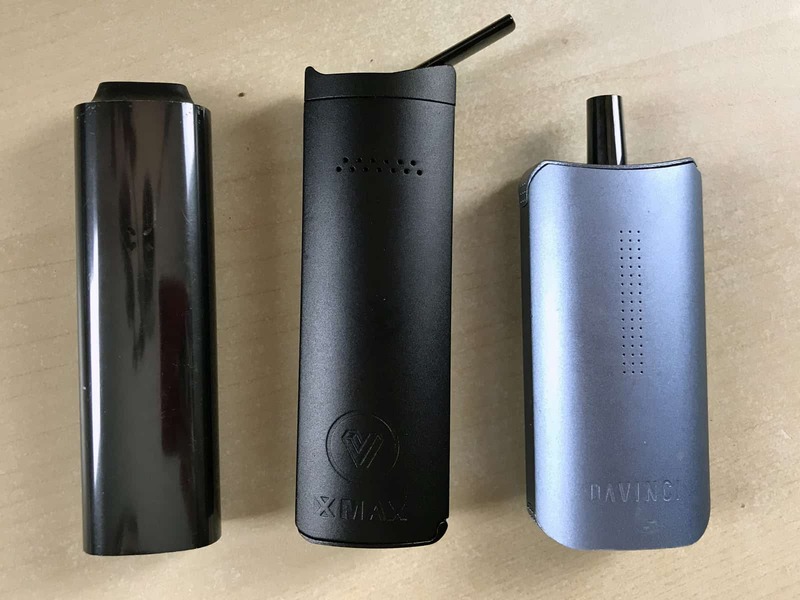 The Pax 3 wax oven is bare aluminum. Loading a rice sized dab into the Starry wax container will give you 8-14 nice pulls at 440. I like to reload every 10 pulls to keep a nice flavor going continuously. Failed to empty after use, whoops. Routine maintenance is really not bad. If you empty it right after using, it will require less work from you in the long-run. Plus the screen wipes clean instantly while it is still hot. I use my finger over the Debowler. Deeper cleaning will need to be performed every quarter ounce. Deep cleaning the Starry isn’t hard. The top cap easily pulls apart The silicone gasket wipes clean with an alcohol wipe. 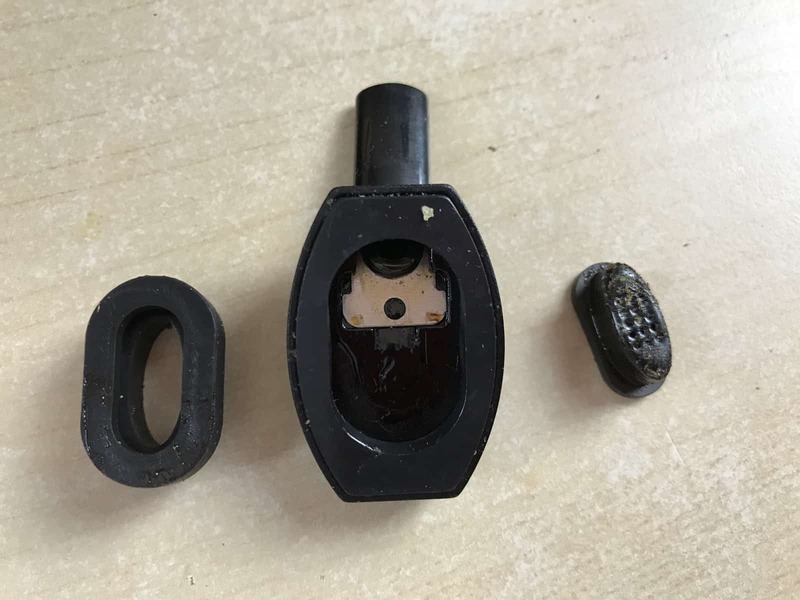 The screen and mouthpiece can be soaked in ISO for a few minutes to dissolve the reclaim and loosen the gunk. If you grind your weed fine, your maintenance will be more intense or more frequent. I’ve been pretty happy with this vape. For the price, I’d much rather have the Starry at $120 than anything cheaper (in the ultra-portable class). 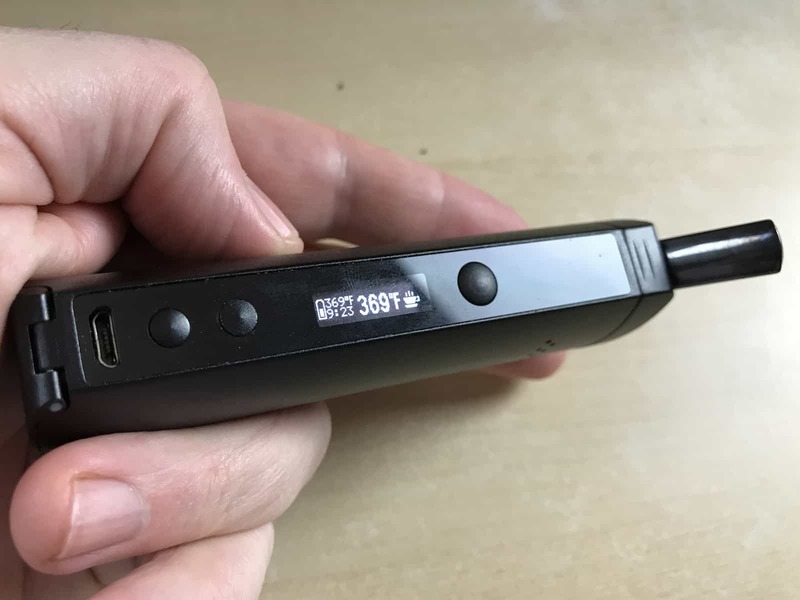 If you’re looking for something with better vapor without stepping out of the ultra-portable size range, check out the Davinci IQ. The Starry’s oval bowl holds .15-.3g of dry herb or cannabis. There is an oval screen in the bottom of the bowl. The Starry has full digital display. It shows temp setting, bowl temp, battery status, heater status, and session timmer. 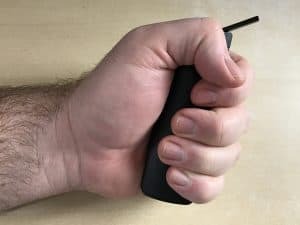 The Starry is a large fist-pack size for me. It’s about the girth and shape of a hammer handle, maybe smaller. The bottom of the Xmax Starry opens to reveal a removable 18650 battery. The battery it comes with is decent, provides 4-6 bowls per charge. 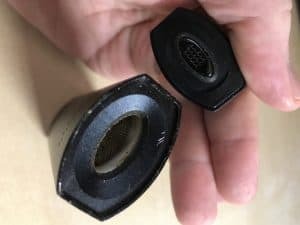 The top cap is magnetic. I like to stick it to the side of the Starry when loading so I don’t lose it.